Race To The Stones: the countdown begins! Three of our fabulous fundraisers in the East Midlands are gearing up for a MAMMOTH challenge this weekend… running a hundred kilometres in just ONE DAY, in aid of the Caldecott Foundation’s new Therapy Room! 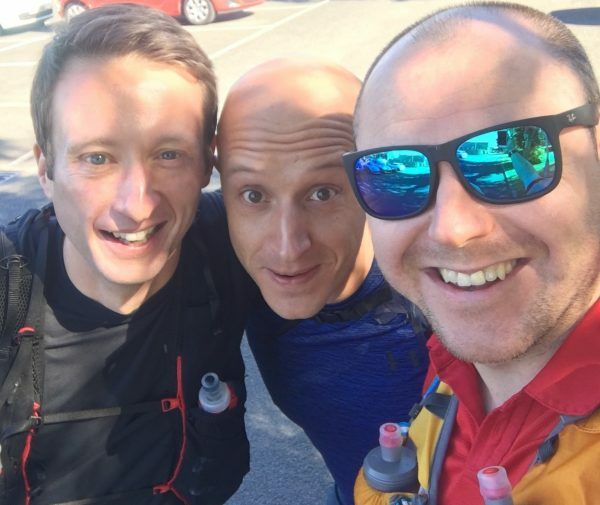 Steve, Adam and Rich are taking part in this year’s “Race To The Stones” – an ultra marathon voted Best Endurance Event in the UK. The route follows the 5000-year-old Ridgeway from the Chiltern Hills in Oxfordshire to the North Wessex Downs, ending at the Avebury Stone Circle (the largest Neolithic stone circle in Europe). Recognised as the oldest path in the UK, the Ridgeway passes Bronze Age hill forts, over Neolithic burial chambers and through Roman river crossings. “I decided to run Race to the Stones because I wanted to challenge myself. I thought it would be something different to do and would give me a focal point to get back into training properly. “We now have three services in Nottinghamshire specialising in the psychological recovery of young people who have experienced extreme trauma, but we still need an expanded facility in which our professional mental health experts can undertake individual therapeutic work. We are therefore thrilled and grateful that this fantastic team has chosen to raise funds towards constructing and equipping a new room for these services”. When asked how his training had been going, Steve replied “slowly but sorely”! “It’s not a typo! Hard, but I’m getting there. All of the guys are helping and supporting each other where we can. Good luck guys, and thank you so much – the heat really is on!